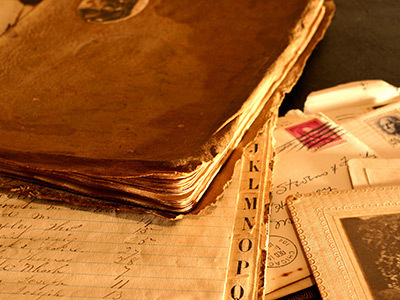 A tiny office in Verona is inundated every year with thousands of letters. All of them are addressed to Juliet–yes, that Juliet—and all of them ask about love and heartbreak. A remarkable group of women calling themselves the secretaries of Juliet have been answering these letters for decades and, in my book, Juliet’s Answer, I worked alongside them over the course of two years, answering letters myself, and coming to know the wisdom of these amazing women. Check your self-esteem. Manuela is the historian of the group. She is a certified tour guide for the city and she came out from her own office to meet me. “Mostly, it is women who write to us,” she began. Love yourself first. Most surprising to me, in all my time in Verona, were the words of a much younger secretary, Soňa, who was a Czech exchange student. She’d come to work on her Italian and had joined the club, like me, as a volunteer. She took me to the finest gelateria in Verona. The gelato was heaped in metal pans, as soft as silk and to even call it ice cream would be to discredit it. It was there that I asked Soňa what she had learned from the letters. “I think,” she said, “you need to know yourself first before you can fall in real love–and before someone can fall in love with you. It’s like once you are in love with yourself, then others can follow your example.” I thought that was brilliant. There were other things I learned along the way. There’s actually quite a bit of advice in the play itself (Shakespeare was always wise in the ways of the human heart) and there’s much more in my book, Juliet’s Answer. There’s so much more to learn about this crazy thing we all feel, this soul-wrenching experience that is both our deepest sorrow and our greatest joy. 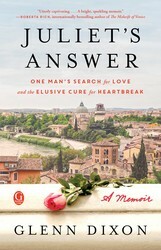 Eat, Pray, Love meets The Rosie Project in this fresh, heartwarming memoir by a man who travels to Verona and volunteers to answer letters addressed to Shakespeare’s Juliet, all in an attempt to heal his own heartbreak. When Glenn Dixon is spurned by love, he packs his bags for Verona, Italy. Once there, he volunteers to answer the thousands of letters that arrive addressed to Juliet—letters sent from lovelorn people all over the world to Juliet’s hometown; people who long to understand the mysteries of the human heart. Glenn’s journey takes him deep into the charming community of Verona, where he becomes involved in unraveling the truth behind Romeo and Juliet. Glenn Dixon was the 2014 writer-in-residence for the Vancouver International Writers Festival. He has traveled through more than seventt countries and written for National Geographic magazine, the New York Post, The Walrus, and The Globe and Mail. He taught Shakespeare for twenty years, but it’s his hunger for travel and adventure that made him the perfect choice to become one of Juliet’s secretaries.